This article gives some details on the most important Google ranking factors. With the advancement in technologies, most of the business websites in Sydney are raised. This gives tough competition with lots of struggle for the companies to take their business on the top. Not a single business including website design in Sydney likes to stay behind the competitive marketplace. All the Sydney companies want to make their business available to their targeted audiences. Here, the Google ranking factor really matters to lift those businesses up. You can find lots of information floating around these days regarding the website rank. Google ranking factors offer webmasters, Search Engine Optimisation and content marketer with the recent insight about essential ranking factors for high ranking search results. If you really want to know those ranking factors, then keep reading this article provides a complete guide on how Google ranks the website together with some factors which might be controversial or complete misconceptions developed with filters to conceal the junk. The sitemap allows search engines to index every page on your website. It is considered as the most convenient way to demonstrate all the pages of your website to Google. Server location can be helpful to maximise the ranking for a particular place or country. With the increase in mobile internet users, Google favours the website that is mobile compatible and can be browsed from any type of mobile device. It is better to include Google webmaster tools in your site as it can be useful in website indexing. This is an efficient way to get Google to index your site speedily. Additionally, this tool offers handy data which can be used for better optimisation of your website. On-Page SEO illustrates the factor which makes you capable of manipulating straight through the management of your personal website. The approach you apply to optimise your page has the most insightful effect on rankings. Many factors might be neglected to some point which makes them negative factor. Presently, the significance of Meta description tag is frequently discussed in SEO surroundings. 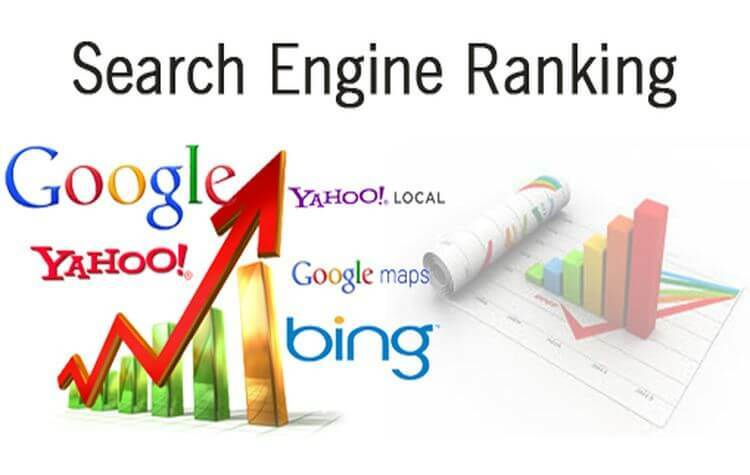 However, it is yet an applicable signal and important to acquire visitor clicks from search engine result page. Employing keywords in the description tag make it more applicable to both search engines as well as searchers. H1 tag is taken as another important ranking factor that provides a short explanation of the content of web pages. Better develop unique and informative H1 tag on a web page. The title Meta tag is considered as the most strong relevancy signal for a search engine. The tag itself is intended to provide a correct description of the page contents. Search engines utilise it to present the major title of search results. With the keyword, it signifies to a search engine to rank the page. Besides, the keywords need to be kept in the starting of the title tag. Pages that are optimised in this manner will rank better compared to the one with the keyword nearer to the end of a title tag. Employing keywords in the contents provides proper information about the contents and your web page. However, the way you present and include keywords makes the difference which might affect your web page rankings as well. Users explore the site to be educated or to get some information about your business. However, providing only basic information might not work. So, Search engine Google looks for the site with unique, informative and descriptive contents. If you include long contents, then there will be a great chance to present more on the topic. Keep on writing long and useful contents. Linking with reliable pages helps to develop trust signals to the search engines. However, too many outbound links can seriously diminish the PageRank of a web page, harming the search visibility. Thus, to stay away from these issues, avoid an extreme use of outbound links. Internal links are very useful as they connect your content with one another. Sometimes to have two URLs with the identical content might be necessary. In order to prevent this from being duplicate content is employing canonical tag on the website. This tag informs Google that one URL is comparable of another. Along with the text, images, and other media can be optimised as well. Images send the search engine signal via ALT text, caption, and descriptions. Google algorithm favours fresh and updated content. But, this does not mean you should edit your page every day. The best way to keep your content fresh as by regular blog post including recent events and describing the products and services that your company holds. One of essential Google ranking factors that you need to focus on is the number of domains linking to your site. There may be some links from a specific domain to your site; they are ranking factor as well. Thus, it is better to acquire more and more links from individual domains than a particular domain. Each and every page might not be identical. Links on the page with superior PageRank might be the greatest factor compared to the one on low PageRank. Better endeavour to develop links from a higher PageRank page. Alike PageRank, the ability of domain might be one of the important Google Ranking factors as well. Accordingly, links from low PageRank page on a higher PageRank website becomes more significant. Truly, homepage links contain more power and capability compared to the links of other pages. Since Google does not value no-follow link, try focusing on acquiring do-follow links as it affects the website rankings as well. The type of link that you develop for the site might affect the rankings as well. Try to avoid too many links of the similar type as it might be a spam indicator bringing negative impact in the rankings. Indeed, the links in the content of web pages are more valued compared to the one in other places like a sidebar. These types of links are taken as one of the most influential Google ranking factors. Additionally, it also can be utilised as web spam indicator which might impact your page rankings negatively. These are most important Google ranking factors that you might have missed. Applying these factors properly will lift your website on the top of the search engine result page. However, all the factors might not be essential for superior rankings. Looking for SEO service? If yes, get in touch with us.